UPDATED: Sat., March 17, 2018, 11:39 p.m. Even at 55 years old, Gonzaga coach Mark Few can still pull off a handstand. Shortly after the Bulldogs pulled out a 90-84 win over Ohio State in the second round of the NCAA Tournament on Saturday, Few attempted one of his well-known handstand celebrations that has become tradition in the postseason. The Zags cleared a space in the center of the locker room for Few to do his trick. He went straight down on his hands and kicked up his feet, holding himself up on his own for half a second before guard Zach Norvell Jr. grabbed his leg to keep him from falling backward. Gonzaga released a video of Few’s handstand shortly after the win. In previous years, Few has kept the handstand tradition a secret among his players and coaching staff. In Gonzaga’s run to the Sweet 16 in 2015, former Zag Kyle Wiltjer posted a video of the handstand on Twitter. Few didn’t respond well to the post, but he eventually lightened up and let the fans in on the fun. 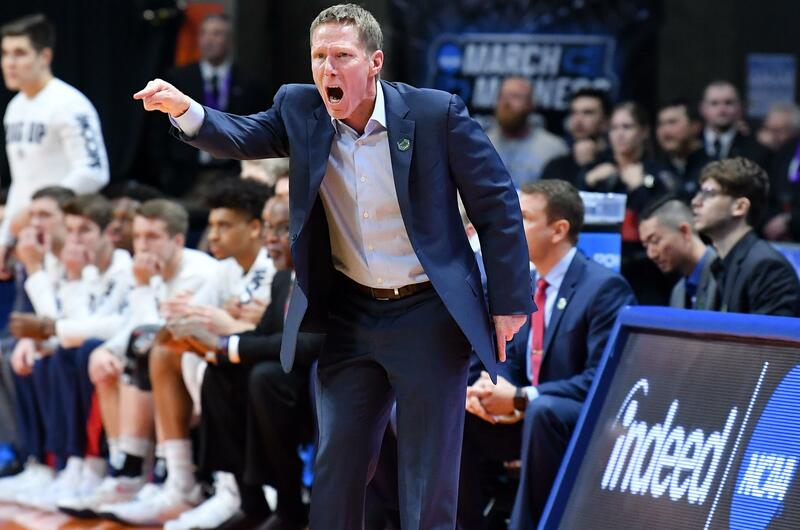 After his handstand on Saturday, he calmed the cheers in the locker room and congratulated the Zags on a tough victory and their fourth consecutive Sweet 16 appearance. “Unbelievable job with sticking with it and believing,” Few said. “You believed, you hung with it down the stretch, we got our stops, we ended up blasting them on the glass and we made just enough plays on the offensive end. Published: March 17, 2018, 10:47 p.m. Updated: March 17, 2018, 11:39 p.m.